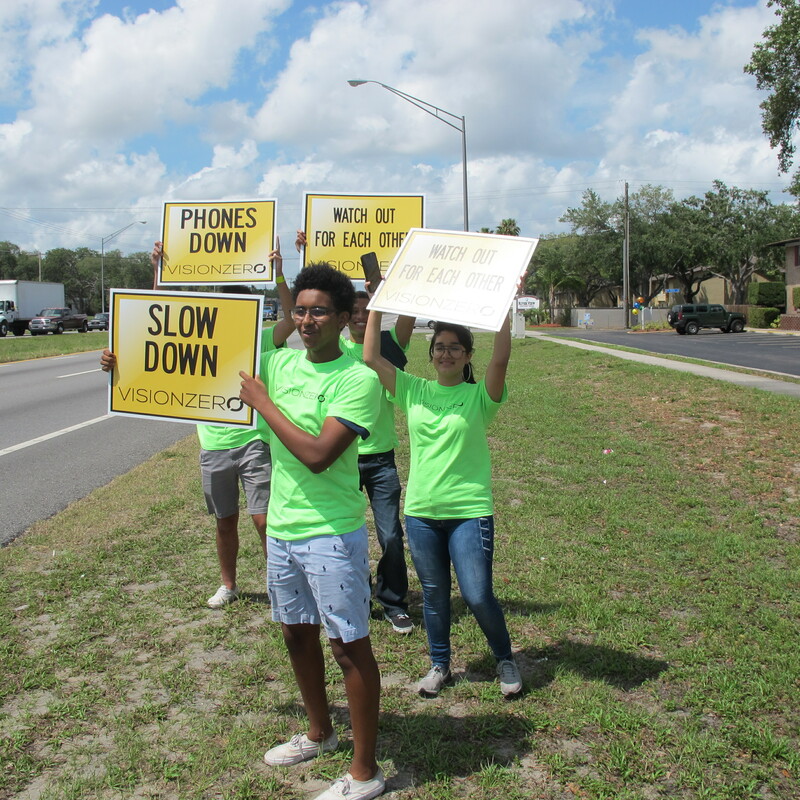 On Monday, April 23, over 75 people held signs along 56th Street from Busch Boulevard to Sligh Avenue alerting drivers to slow down, pay attention, put down phones, and other messages aimed at encouraging safe behavior that will lead to saving lives. 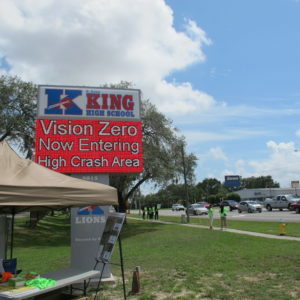 King High School students, Temple Terrace officials and staff, Vision Zero Coalition members, law enforcement, and residents helped address the problem of speeding and distracted driving – likely causes of the serious injury and fatal crashes on this corridor as indicated by crash data. 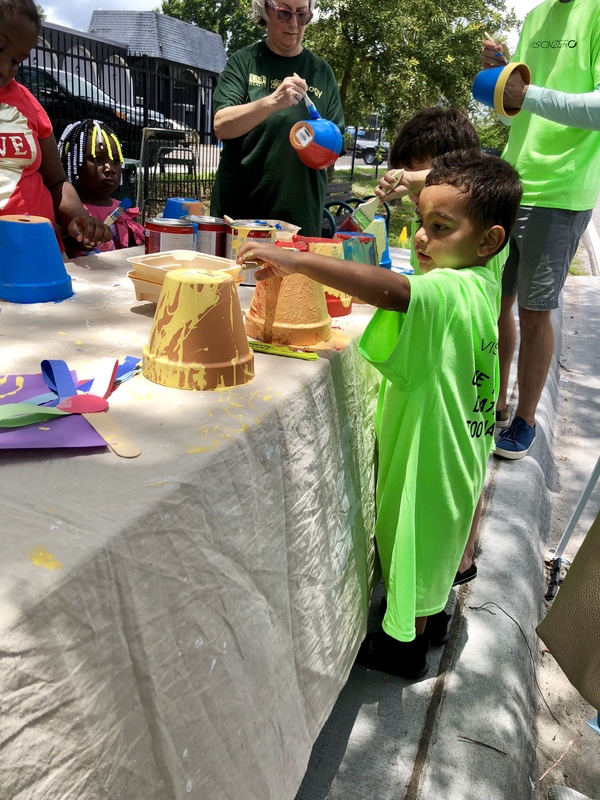 After initially being rained out, the rescheduled 15th Street event went off without a hitch on Sunday, June 3rd. 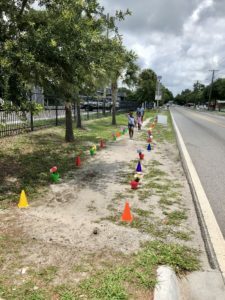 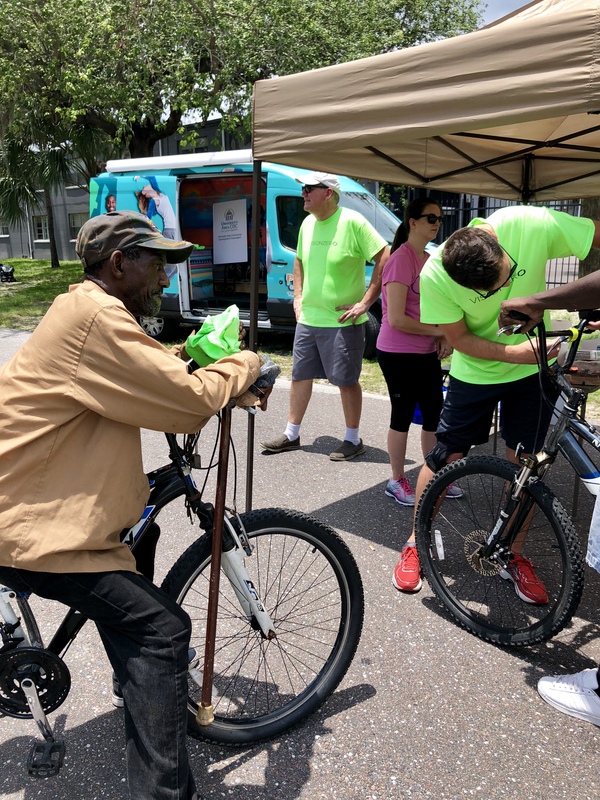 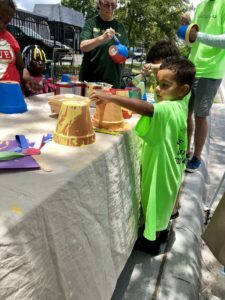 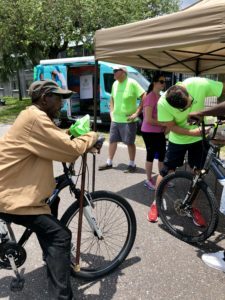 Residents came out to paint shoulder-to-shoulder with Vision Zero Coalition members, staff of the University Area Community Redevelopment Corp, deputies from Hillsborough County Sheriff’s Office, and others to create a colorful crosswalk and intersection mural. Stations were set up to paint flower pots that were then used to line along a sidewalk gap, lights were affixed to bicycles, and polaroids were taken for a Vision Zero photo booth. 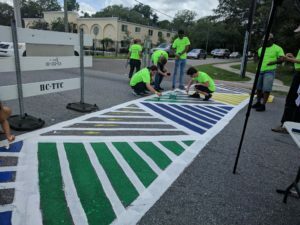 Although the paint is temporary, while it remains on the pavement motorists will be alerted to drive with more caution. Permanent solutions for long-term crash reduction will be discussed with county staff. 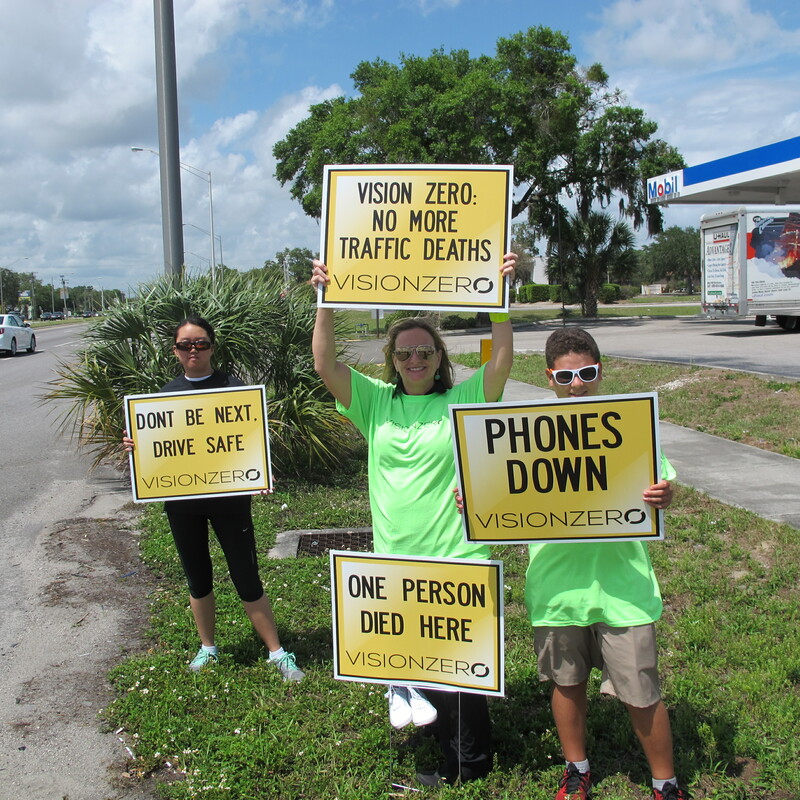 Over the past year, the Hillsborough MPO has led a city-county initiative around a long-term vision of reaching zero traffic fatalities, and has drafted a Vision Zero Action Plan. 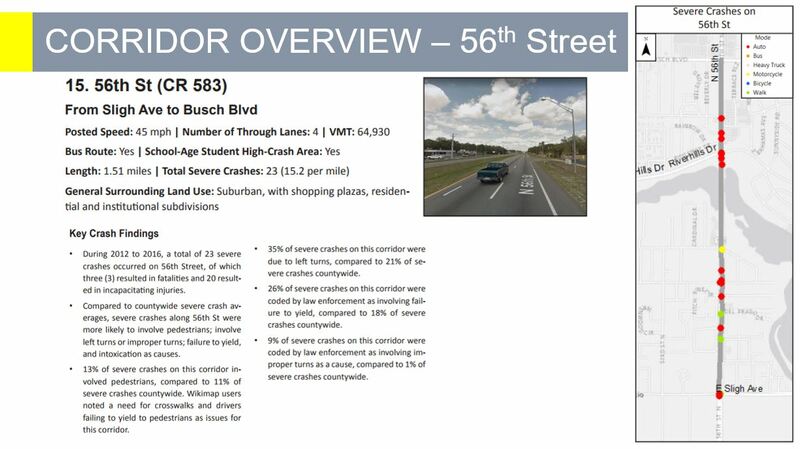 We discovered that in our county, the top 20 roads for severe crashes make up only 4% of our major road system yet are responsible for 19% of severe crashes. 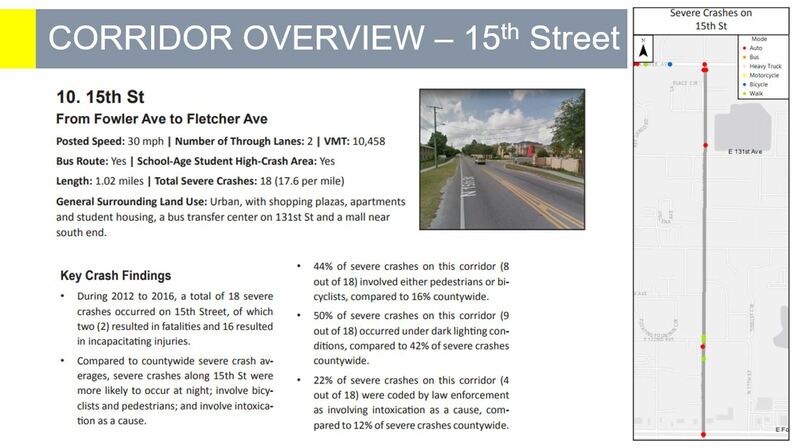 Two of those roads are 56th Street (Sligh Avenue to Busch Boulevard) and 15th Street (Fowler Avenue to Fletcher Avenue). 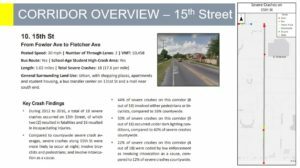 We will be forming coalitions for each of these corridors to engage residents, businesses, and anyone who has an interest in bringing these alarming crash rates down. 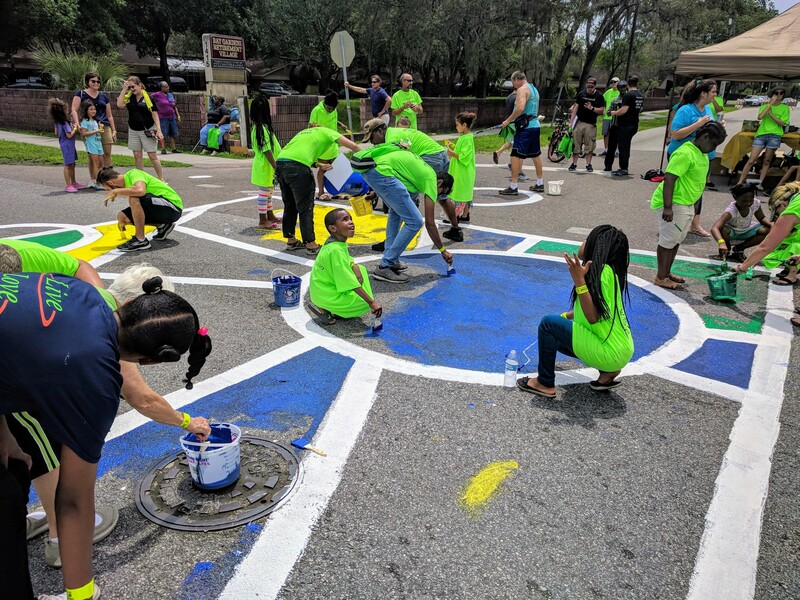 The coalition will work to organize a community event that creatively engages citizens, whether using temporary street paint, a pop-up midblock crossings or roundabout, or by holding a march in remembrance of people hurt or killed along the roadways. We want to see everyone chipping in to make their neighborhood a safe place no matter how they choose to move about. 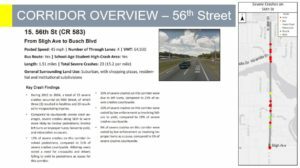 For more information contact Gena Torres at torresg@plancom.org or 813-273-3774 x 357.